M J C - Empowering the Girl Child: Guest Lecture on "Introduction to Python Programming Language"
Guest Lecture on "Introduction to Python Programming Language"
A guest lecture on “Introduction to Python programming language” was conducted on 5th July, 2018 at the Michael Job College of Arts and Science for Women for the students of B.Sc. (CS), BCA and M.Sc. (IT). 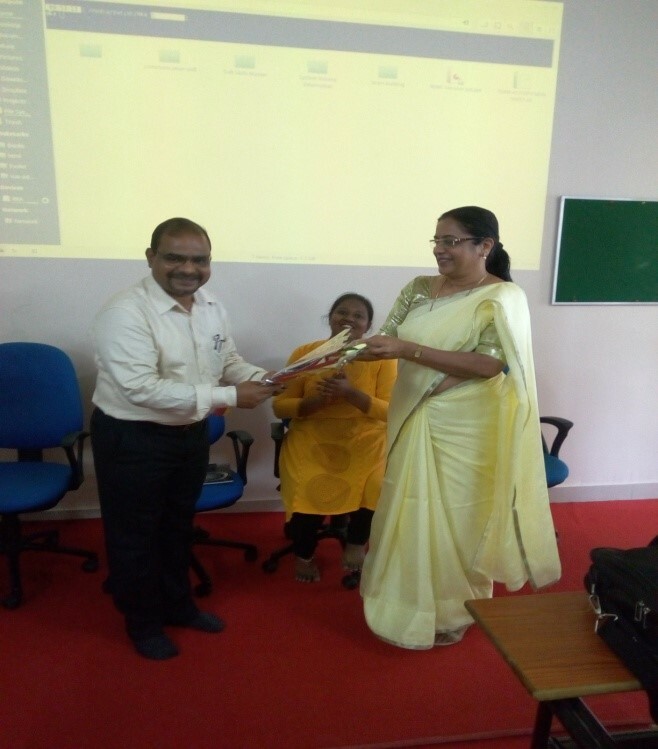 Under the guidance of Dr. Lali, the training was organised by Ms. N. Easwari, HOD, Department of Computer Science. Ms. Stabny Monika, student of II-B.Sc (CS), welcomed the guests and introduced the speaker. The speaker was Mr. Satish Vishwanathan, Tech- Head, Evolett Technologies, Coimbatore, who has more than 28 years of experience in working on large and impactful projects in the IT domain. 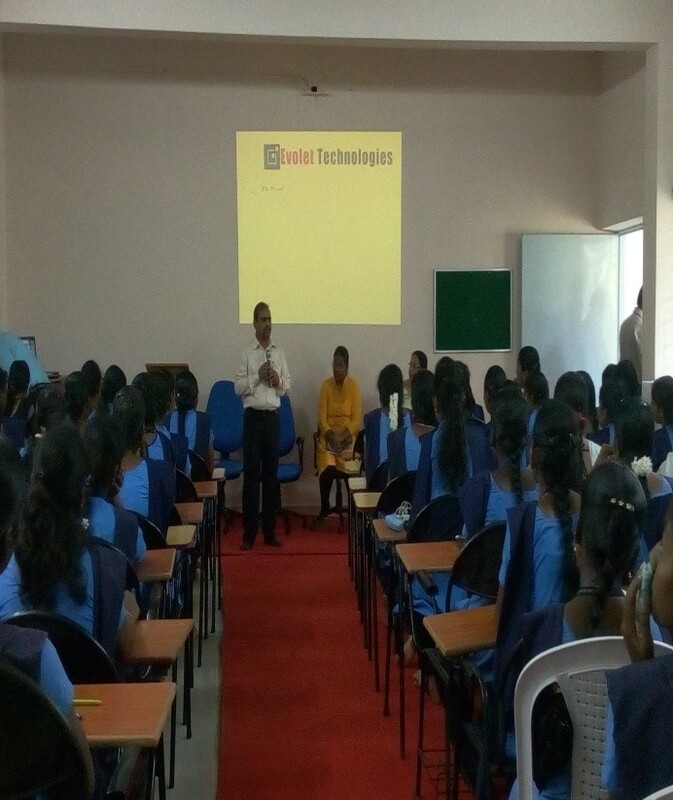 Mr. Ravindran, from Evolett Technologies gave a brief introduction about the company and its service offerings. To begin with, the various Programming languages and their advantages were discussed. Mr. Vishwanathan emphasized that, in addition to learning the academic curriculum, students should attempt to learn the latest programing languages which are trending in the IT industry. He suggested that Google Trends is a great website to follow to keep abreast with the latest trends on programming languages. Subsequently, Mr. Vishwanathan shared information on the Python Programming Language and its scope. He described the difference between Python and other Programming Languages. He also explained the students on how to get started with Python and install it, define functions, library files available etc. The session was extremely interesting for the students and they got an opportunity to hear and learn from an industry stalwart. The session was concluded by thanking the dignitaries and honoring them with a Memento.